The YMCA of Burlington and Camden Counties, a registered Safe Sitter teaching site, will be offering a comprehensive Safe Sitter babysitting training program on Saturday, Feb. 21 from 9 a.m. to 4 p.m. at the Mt. 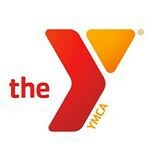 Laurel YMCA. Safe Sitter is a medically accurate, competency-based, highly structured babysitting preparation course designed for young adolescents, 11 years and older. The curriculum is written by a pediatrician and is presented in sections. The training program provides instruction on babysitting skills and techniques such as care of a choking infant or child, injury prevention, babysitting as a business and many more. More than 600,000 graduates nationwide have completed the course and are able to stay home alone safely and handle emergencies when caring for younger children. Tuition, which includes the Official Safe Sitter Babysitter’s Handbook, is $50 for YMCA members and $65 for program and non-members. For more information or to register, visit www.ymca-bc.org or contact Alissa Hobby at (856) 231–9622 or alissah@ymca-bc.org.